Eat. Drink. Dance. (Repeat! 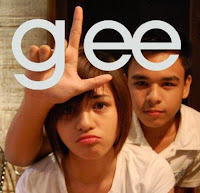 ): Catch These Two Pinays on Glee's 2nd Season! 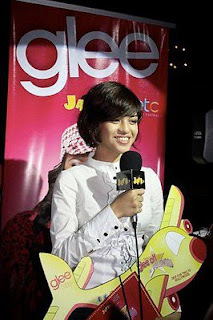 So now it's confirmed that Charice Pempengo IS joining Glee, Filipinos all over the world (i guess) are rejoicing this feat. But she's not the only Pinay who will be on the show's second chapter! The Glee Cast even announced her win! Check out this funny video! Per her brother, she doesn't know yet which episode she will appear. I really don't mind if she'll get a speaking role or not because, hey, Jollibee didn't even do anything during THAT episode and we were all gaga about it all over the interwebz, newspapers, and TV. I'm looking forward to seeing these two talented ladies on Glee! Subscribe to this blog here. Follow me on twitter here.